Drinking plenty of water may help decrease the symptoms of acid reflux. Deep breathing exercises are an alternative treatment to help relieve acid reflux symptoms. 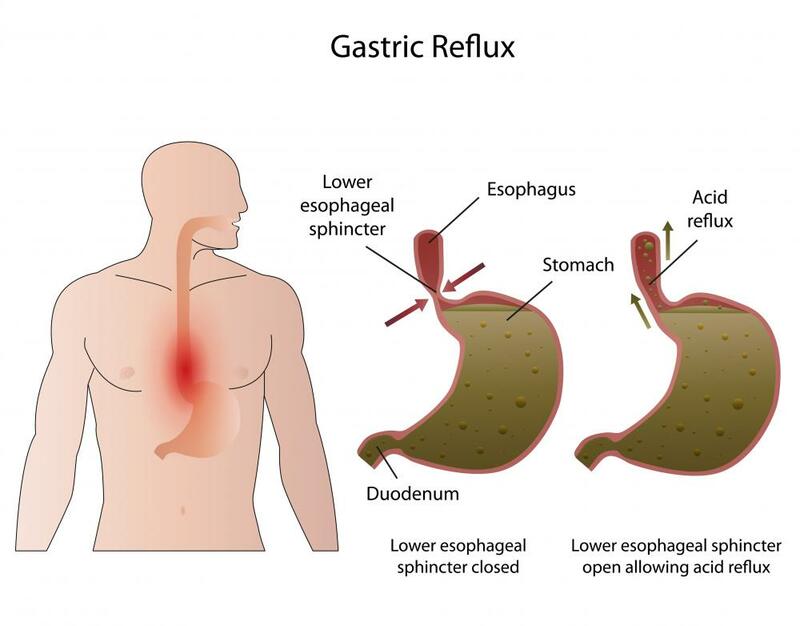 Acid reflux is caused by acid from the stomach working its way back up the esophagus. Alternative treatments for acid reflux may be especially helpful when a person is unable to see a doctor right away, although it is important to be screened by a qualified medical professional in order to obtain an accurate diagnosis and to have the condition monitored for potential complications that may require additional medical care. Some of the most popular alternative treatments for acid reflux include the use of herbal remedies, acupuncture, or relaxation techniques. Dietary changes and lifestyle modification have also been shown to help treat acid reflux and its associated symptoms. Any specific questions or concerns about the most appropriate alternative treatments for acid reflux in an individual situation should be discussed with a doctor or other medical professional. Herbal remedies are among the most commonly used alternative treatments for acid reflux. Popular herbs for this condition include slippery elm, chamomile, and licorice. It is important to note that those with certain medical conditions or taking some medications may not be able to safely use these herbal supplements. For this reason, no new treatment program should be implemented without the supervision of a doctor or other qualified medical professional. Acupuncture and the use of relaxation techniques may be used as alternative treatments for acid reflux in some cases. The use of acupuncture involves the gentle insertion of thin needles into strategic areas of the skin in an effort to restore health and balance to the body. Yoga, meditation, and deep breathing exercises are popular relaxation techniques that may help to relieve the symptoms associated with acid reflux. Dietary changes are crucial to those who are searching for alternative treatments for acid reflux and ways to avoid the use of more traditional medications. Eating smaller, more frequent meals and avoiding fried or fatty foods may be particularly helpful in treating this condition. Spicy foods, alcohol, and caffeine may trigger symptoms in some people and may need to be limited or avoided. A few lifestyle modifications may greatly decrease many of the symptoms of acid reflux. Elevating the head of the bed may help prevent nighttime heartburn and is much more effective than trying to use extra pillows. Smokers are advised to stop smoking, as this habit has been connected with a higher rate of acid reflux. It may also help to avoid lying down immediately after a meal, instead allowing the food to digest for a couple of hours or so. What is the Homeopathic Remedy for Acid Reflux? How Effective is Aloe Vera for Acid Reflux? What is the Connection Between Acid Reflux and Stress? My acid reflux always bothered me at night. Sometimes I would wake up in the middle of the night and feel nauseated and found this was from acid reflux. I tried a couple of things that made a difference for my heartburn. The first thing I did was make sure I was done eating at least four hours before I went to bed. This gave my food a chance to digest before I laid down for the night. The other thing I did was elevate the head of my bed a little bit. It doesn't take much and all we did was slide a board under the front of the bed so it was just a little bit higher than the foot of the bed. After doing these two things, I noticed a big difference and don't wake up at night anymore with the heartburn. I used to take an over the counter medication for my acid reflux. I didn't want to continue taking this on a long term basis, so began looking for alternative ways to deal with this. I read that many heartburn medications taken long term can interfere with the way your body absorbs calcium, and that they just cover up the symptoms instead of healing your body. What I found worked best for me was drinking some apple cider vinegar and honey in some water. If I drink a glass of this 30 minutes before each meal, I don't get any acid reflux. 'the mother' in it. You can find this at any health food store and is different than the processed vinegar you find in most regular grocery stores. One bottle of this will also go a long ways. I am so glad I found a natural way to take care of this and very rarely have any heartburn anymore. It is also much cheaper than buying the medication every month. @starrynight - I believe your tea method works, but I'm not a big tea drinker myself. However, I found a licorice tincture at my local health food store that helps me whenever I have acid reflux. It helps that I like licorice, so I don't think this would be the best solution for someone who can't stand the taste of it. Usually I use the dropped that comes with it to be about a teaspoon of licorice tincture in some water. After I drink it, I usually feel significantly better. I don't get acid reflux often, but when I do I usually treat it with an alternative treatment. I hate taking medicine unless I absolutely have to, so I always try natural remedies first. As the article mentioned, chamomile works very well for acid reflux. I've found that a cup of chamomile tea works almost as well as an antacid pill for my stomach woes! Plus, I'm more likely to have chamomile tea in the house than antacids anyway! Also, mint is very calming for the stomach. I find that mint tea works just as well as chamomile tea does. @manykitties2 - I love lots of foods that give me acid reflux too, and finding a way to eat everything I loved again was really tough. My doctor put me on medication but I found that I didn't like the side effects, so I wanted to find a way to get by without it. What worked for me was eating lots of small meals during the day, instead of some really large ones. I also added lots of vegetables to my diet. You would be surprised at how much acid vegetables can soak up. Things like lettuce aren't acidic, so they shouldn't bother you, and they act like a sponge soaking up acid. You should try it. I found that my diet has a ton to do with how much I suffer from acid reflux. If I eat anything spicy, with tomatoes, or something with lemon on it, I am in pain for hours. Pretty much, if I avoid my trigger foods, I can enjoy going without any kind of medication. Also, milk really helps soothe my stomach down when I do accidentally eat something I shouldn't. Does anyone else have any simple recommendations to deal with acid reflux? I would love to find away to enjoy some of the foods I used to like, such as pizza, without suffering from acid reflux, and without having to go on prescribed medication.